We are all familiar with the reasons that GMO foods, chemically treated foods and additives are bad for one’s health. Those things are easy to recognize with a little common sense, but there are some far more subtle and difficult to detect ways in which diet has been used against the consumer to degrade their health. We are suddenly coming into an age where Celiac’s disease, irritable bowel syndrome and gluten intolerance are rapidly increasing health threats. This, like any disease which has increased (or even just recently came about) in the history of the human race should be warning signs. It means that something is fundamentally different (and wrong) with the dietary intake of those populations where the disease is growing. The US is leading the way in such illnesses and it can’t be a coincidence. Anyone acquainted with the depopulation agenda of the ruling elite, also understands that their health is in their own hands. No doctor, medical or government institute is a reasonably trustworthy resource when it comes to defining what is healthy. In fact, it is the outright goal of these establishments to promote disease causing diets and habits. It is the lucrative business of depopulation. As people have become far more aware than they once were of the horrors awaiting them in the grocery store, more have turned to organic and natural source foods to avoid the onslaught of chemical and genetically engineered foods. Perhaps one of the most consumed and trusted groups of “natural” food sources includes every manner of grain, nuts, legumes and other seeds. It seems completely reasonable that not only are these things healthy when grown organically, but even necessary for optimal health. These foods do contain a high value of nutrition, but we have failed to take notice of some very important elements in how they reach our tables. Since the first humans left the garden of Eden, mankind has had to till the soil, sow seed and harvest his crop to eat. 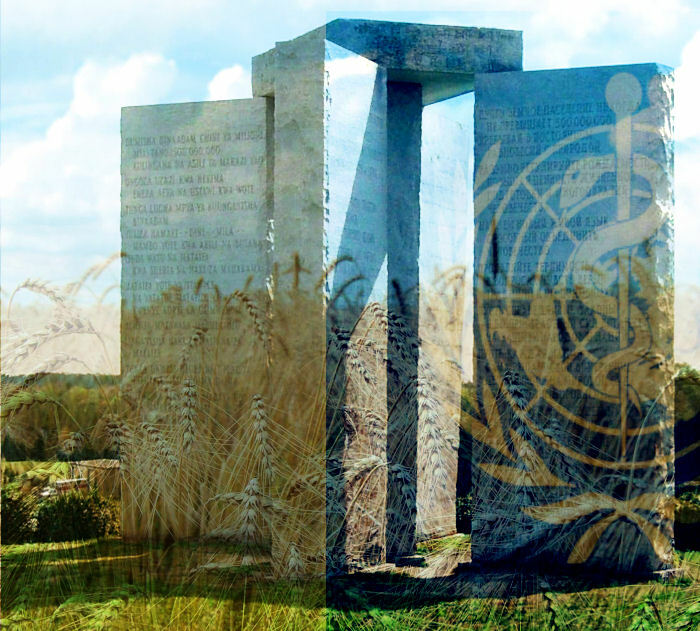 Since that time, humanity has been an agricultural race, with nearly every culture on earth growing some form of grain. Who questions how grains go from seed to bread? Very few of us, I think. They have been eaten for thousands of years without trouble and had not people around me begun to exhibit some very curious symptoms, I might have never considered how grains are treated before they are consumed in this modern age. A seed is the future of a species of plant. It is their “offspring”. That being the case, it must be a hardy little thing, containing all it needs to not only develop a new plant but also to resist environmental adversity before the point of ideal germination. One of the key ingredients to this process is something called phytic acid. 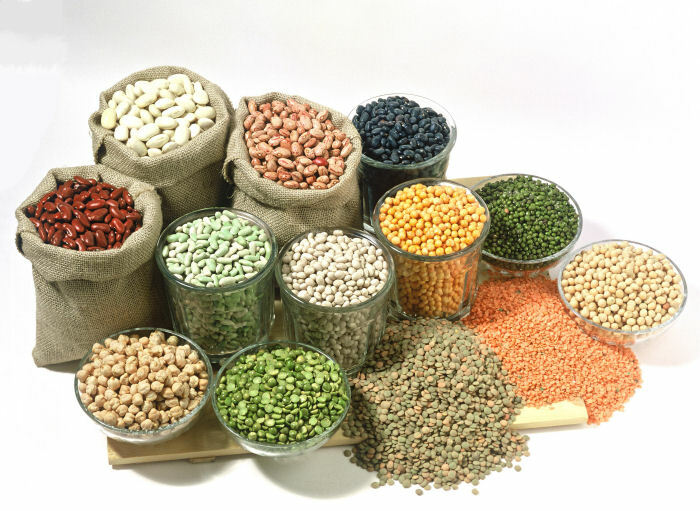 Phytic acid is present in a significant concentration in anything that is a seed, including nuts and legumes. The problem with this acid is that human beings are not able to digest it. Only ruminating animals are capable of breaking it down with an enzyme called phytase, which human beings lack. The obvious result might be degrees of indigestion, but the more serious result is that phytic acid depletes the body of phosphorous and many other vital nutrients, resulting in malnourishment to some level when the dietary intake of the phytic acid is high. Furthering the problem, the “bran” or hard shell of the seed is also indigestible and consuming great quantities of it results in the equivalent of passing shrapnel constantly through the digestive tract. The bran contains phytic acid in concentration. Seeds such as nuts, sunflower seeds, sesame seeds, etc. would not be found in high concentrations in the diet of earlier civilizations. Nuts and seeds to be eaten whole were not so commonly cultivated in great quantities, so the dietary intake of them would be more occasional and not used as a staple food source. Grains, however, were very commonly cultivated, but harvested, stored and processed much differently than they are today. Since the idea of “whole grains” being healthy came about, many have turned to them as a staple food item, believing that the higher their intake of indigestible bran and fiber was, the better their health would be. A “whole grain” is only as healthy as the way it came to your table, though. In the past, agriculture was an art of patience and prayer, waiting for rain at the right times and dry weather at the right times. It was a process of waiting, reaping and storing. Now agriculture is massive, fast and mechanized. At one time, when the harvest was ready, the grain was cut and allowed to sit in the fields for long stretches of time before it was gathered (it takes a long time to harvest fields with scythes). As the grains sat, they were exposed to rain and sun and that naturally caused many of the grains in the field to begin the germination process. Once a seed begins to germinate, the phytic acid content drops and the nutrient value goes up. 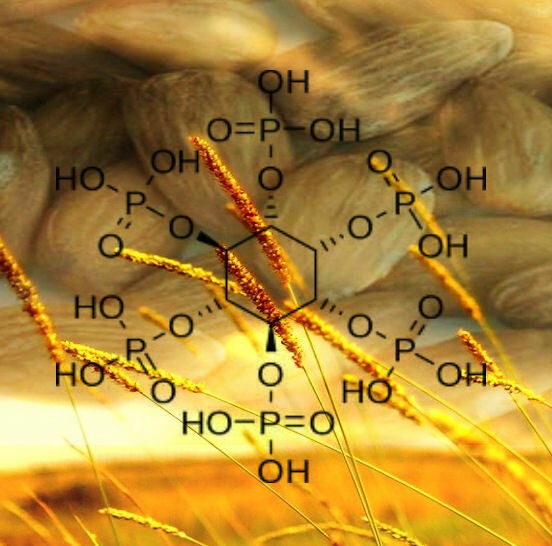 When those grains were then taken from the fields and they reached the consumer, they were not often used as they were, but soaked in water for a length of time which further reduced the phytic acid content. Many cultures also fermented their grains before making them into bread, and this process resulted in a much more digestible and nutrient rich final product. In modern farming, not only do we have pesticides, herbicides, fungicides and GMOs to consider but also added hormone growth regulators which are sprayed on the crop. These hormone regulators can legally be called “natural” or “organic” because they are often derived from other plants, but that does not mean it is at all natural to spray them on a growing crop of plants. Since crops are no longer harvested or stored in the traditional ways, those grains become subject to fungi and pests. To combat this, even when the seed itself has not been treated, the storage facilities spray down the storage units with fungicides and pesticides. The grains are exposed to temperatures which deplete their nutritional content and when they are moved to a milling facility, they are milled in a “dead” state. A seed that can’t germinate is dead and it isn’t fit for consumption. A seed that is viable but still in its closed, dormant state, is also not ideal for consumption. Milled in this state, the phytic acid content is such that when you receive the flour of bread from which it was made, you are consuming something that is not feeding, but rather robbing your system of vital nutrients and setting your digestive system (and eventually your immune system) up for failure. In considering what is best for your health, you must also consider than not all of us have exactly the same nutritional needs. Some ethnic backgrounds can tolerate seed food sources better than others. Some would do better to never eat seed products at all. Those who exhibit the lowest tolerance for seed foods tend to have Rh negative blood types and those are also the people who are rapidly becoming the highest instance of autoimmune dysfunction. If you or those around you have suffered from degenerative illnesses, digestive diseases, autoimmune diseases or estrogen dominant reproductive illnesses, i might recommend that you try life without conventional grain products. Whether by way of consuming only soaked and fermented seed products or by avoiding them entirely, you may find your health greatly improved. Who would willingly drink pesticides or chemical waste from manufacturing? Even if a nice man, in a nice suit, with a diploma on his wall told you it was a cure for all that was wrong with you, would you take a bottle of flea killer from him and drink it? I would think that the answer would be no if you were in your right mind. Maybe this is no longer a world in their right mind though. That would seem to be the case in looking at the statistics on the increase of money spent on anti-psychotic medication in the US alone; and, those who are being prescribed anti-psychotics and antidepressants are doing the equivalent of dosing themselves with a bottle of flea killer. The total amount of annual average expense spent on antipsychotic medication from the years 1997 to 2007 has more than doubled. The number of those who are children has been on a dramatic rise as well, regardless of the fact that the safety of giving children these drugs is highly questioned even in the mainstream. People do not seem to have many questions about with what they are told to medicate themselves, what those things might contain, from where they come, or what they can do to the human body. Even the warnings which are given by the pharmaceutical companies themselves should be more than enough to make a person think twice about putting these things in their body, but it seems that people have been well-trained to tell themselves that whatever doctors prescribe, and whatever is available on the market to take, must be safe. The active ingredient in most anti-psychotic medications is something called phenothiazine.This same chemical was first used by Du Pont in 1935 as a pesticide. SSRI antidepressants are fluorinated molecules. Fluorine is a highly corrosive oxidizing agent. Oxidation accounts for many factors which are related to aging. It is oxidation which causes age spots on the skin, breakdown of connective tissue and senile dementia. Fluoride is the reduced form of fluorine. Synthetic fluoride compounds such as sodium fluoride are derived from the waste products of manufacturing super-phosphate fertilizer. Citalopram, escitalopram, fluoxetine, fluvoxamine, and paroxetine are all antidepressants which are based on fluorinated molecules. It was Fluvoximine that one of the perpetrators of the Columbine High School massacre, Eric Harris, had been on. In 2007 it was found in the autopsies of 168,900 people in Florida that legal prescription drugs had killed three times the number of individuals than cocaine heroine or methamphetamines combined. It is amazing to me how little concern people have to educate themselves before they consent to allow themselves to be drugged with nothing more medicinal than pesticides and waste products by pharmaceutical agencies who are making billions of dollars but showing no sign of improving the mental well being of society. Has medicine really come very far from it’s root as a practice of witchcraft? How many people will need to be robbed of their senses, their willpower, their health and their lives before there is a great awakening to the real reasons that poisons such as these are pushed on people of all ages more and more? When will people begin to understand that they were not created to be chemical garbage dumps, but have bodies which are natural and made to be treated with things in nature that their Creator has provided for their healing? Perhaps it is too much to ask of a world that has already seemingly gone mad to begin to apply reason to something basic, such as what they choose to consume and whom they are willing to trust to tell them what to consume. I pray it is not the case.